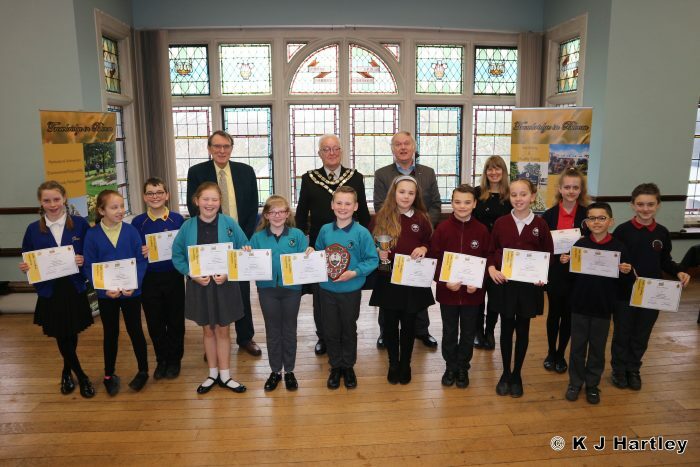 On Wednesday 20th March the ‘Little Bloomers ‘ public speaking competition was held as part of the Trowbridge in Bloom competition and sponsored by Trowbridge Lions who acted as Chairman of Judges and funded the winners trophies. There were 4 schools: These were: The Mead Primary School, Paxcroft School, Newtown Primary and Hilperton School. The teams spoke about the environment and recycling and were very informative and inspiring. The event was organised by Jennifer Polledri and managed by Paul Hamel and was held at Trowbridge Town Hall.